This handy guide is not just for Fashion Models. 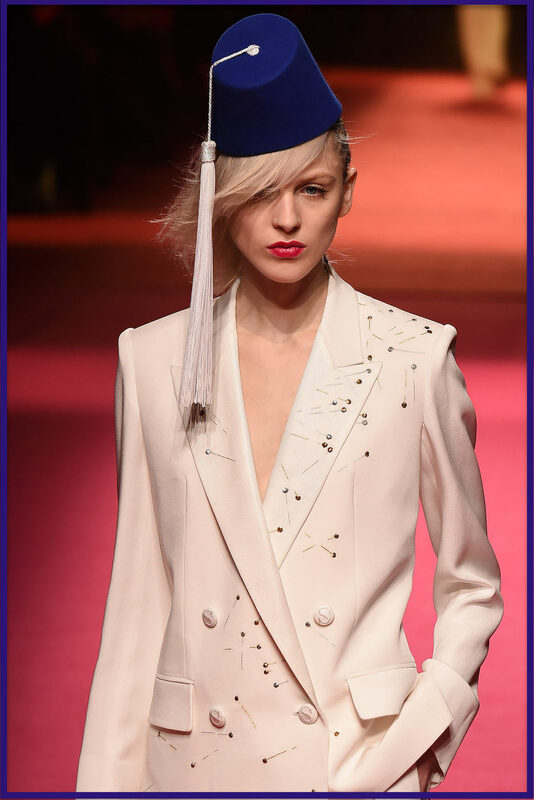 It covers just about everything anyone needs to know about fashion design. 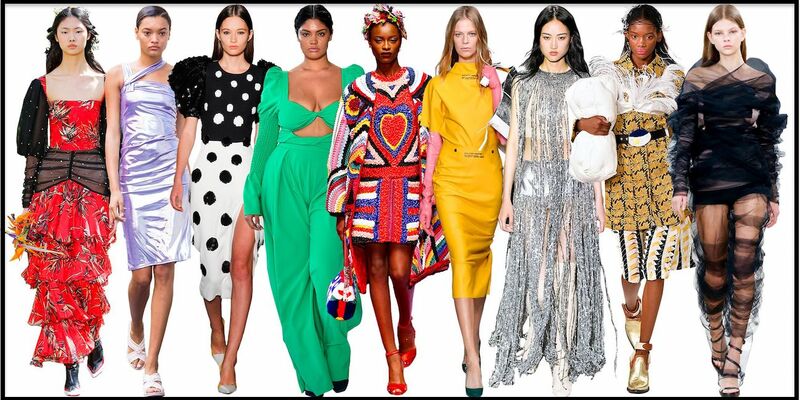 Each term included in this comprehensive fashion glossary is accompanied by full color photo. It's a visual list of fashion design tools, trades, textiles, and wearable art, from bygone times to the present day, and from all over the world. Fashion models always know what to wear. Now so can you. Scroll down and see it all. FABRIC: An assembly of fibers that form a sheet or a cord, which can be used for garment construction, among other useful purposes. FACONNE: A light, sheer fabric with a pattern woven into it. FAD: A short lived fashion trend. Examples include shoulder pads, harem pants, and crocs. 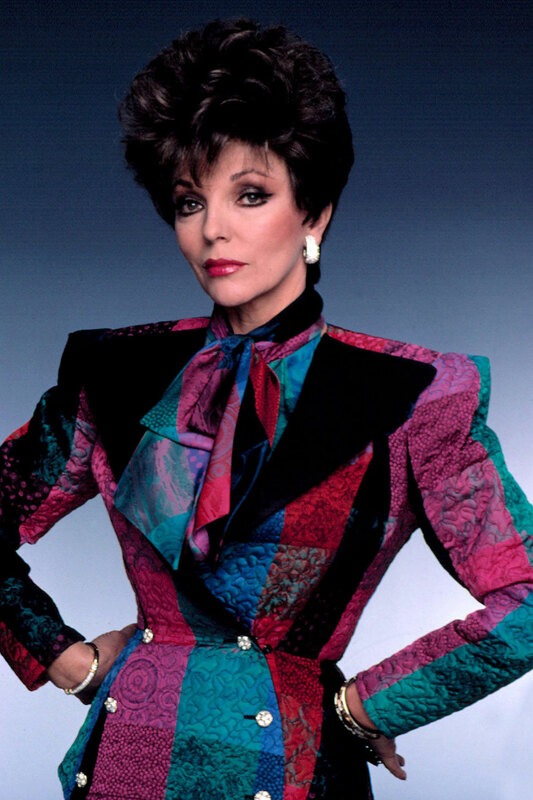 Below, Joan Collins rocks shoulder pads back in 1985. To fashion models of today, she looks like a linebacker for the Jets. 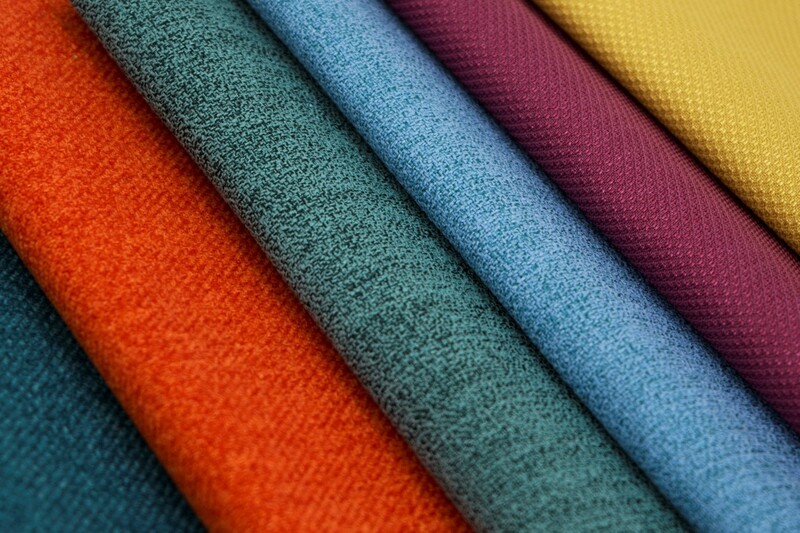 FAILLE: A soft woven fabric with a narrow, crosswise ribbing. 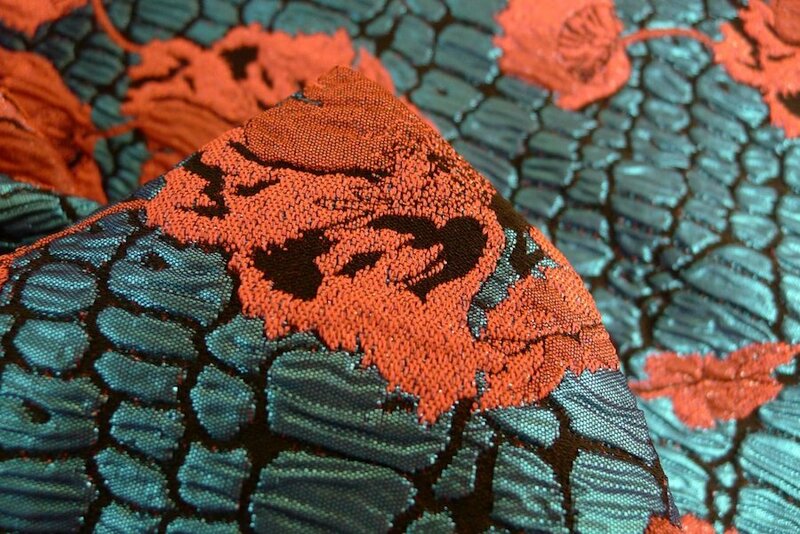 Faille has a light luster and drapes well. 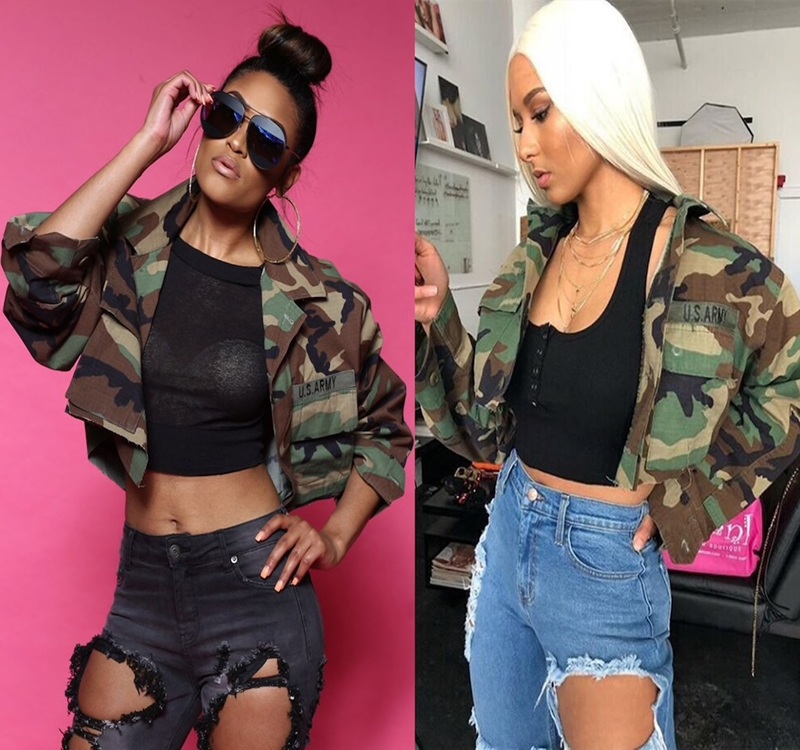 This fabric is popular with fashion models worldwide. 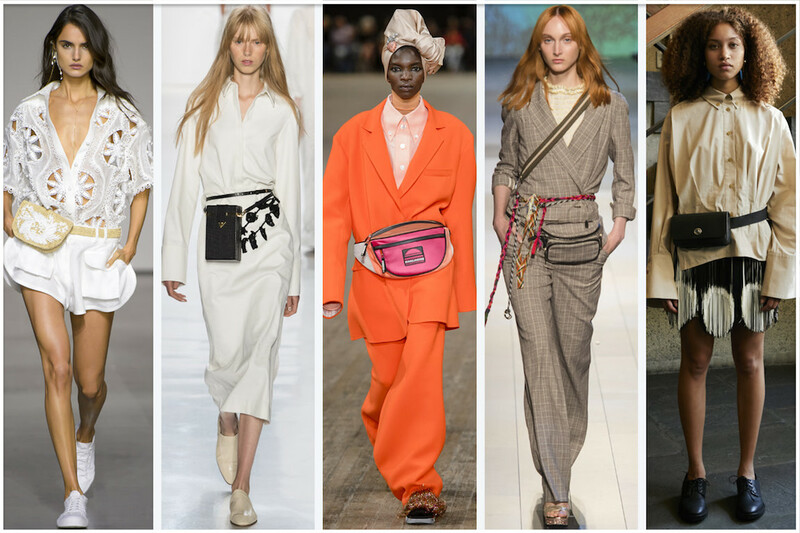 FANNY PACK: A small carry bag with a fastening strap that is worn around the hips or the waist. FASHION FAUX PAS: A style error, such as inappropriate attire for the setting, an embarrassing wardrobe malfunction, or in some cases, just a total brain fart. 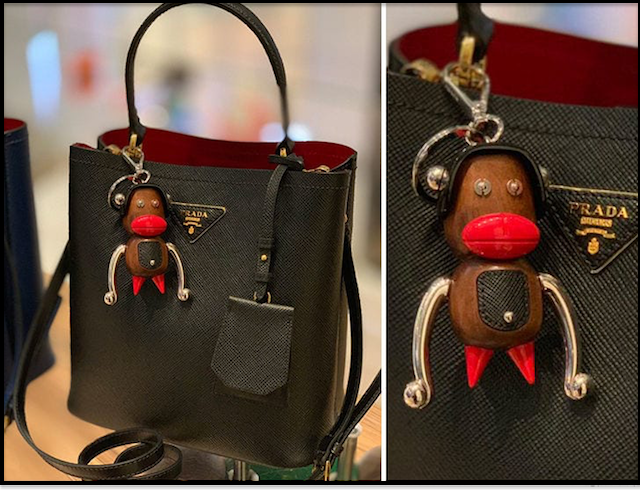 For example, the Prada bag shown below appears to feature a Sambo figurine. As for the three fashion models below that, What Were They Thinking? FASHION FORECAST: A prediction of future fashion trends. Below, a recent fashion forecast from Elle. FASHION FORWARD: Innovative and/or able to predict upcoming fashion trends. 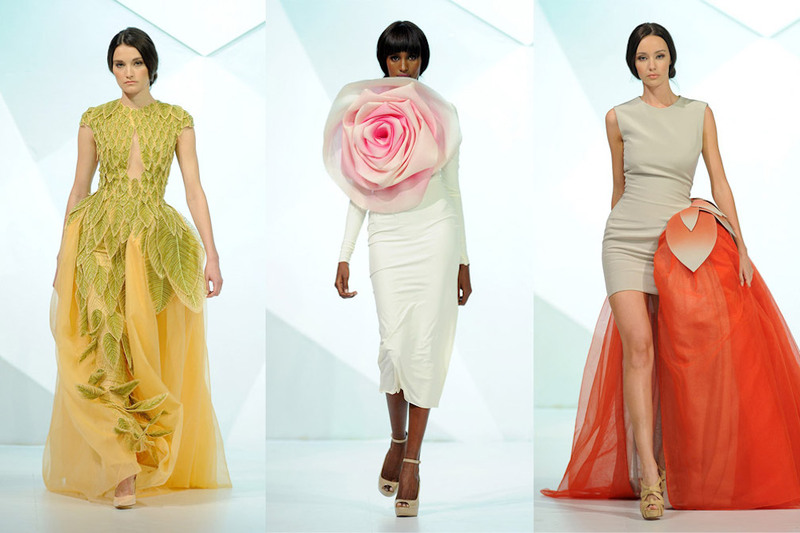 Shown below, fashion forward designs by Jean-Louis Sabaji. FASHION PLATE: 1. An etched or engraved, hand colored illustration of a particular style. 2. (slang) A fashionable person who never wears the same thing twice and attends a lot of runway fashion shows. 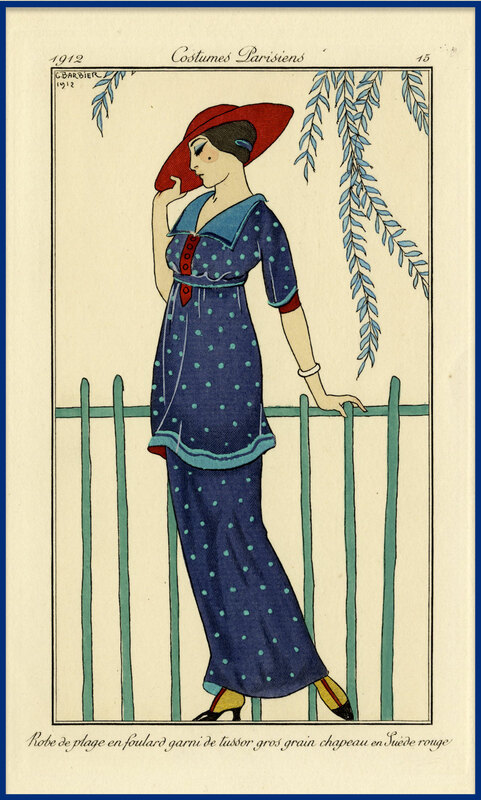 Shown below, a French fashion plate from 1912. FATIGUES: A camouflage print uniform, originally designed to be worn by soldiers. FAUX: Fake; An imitation of the real thing. 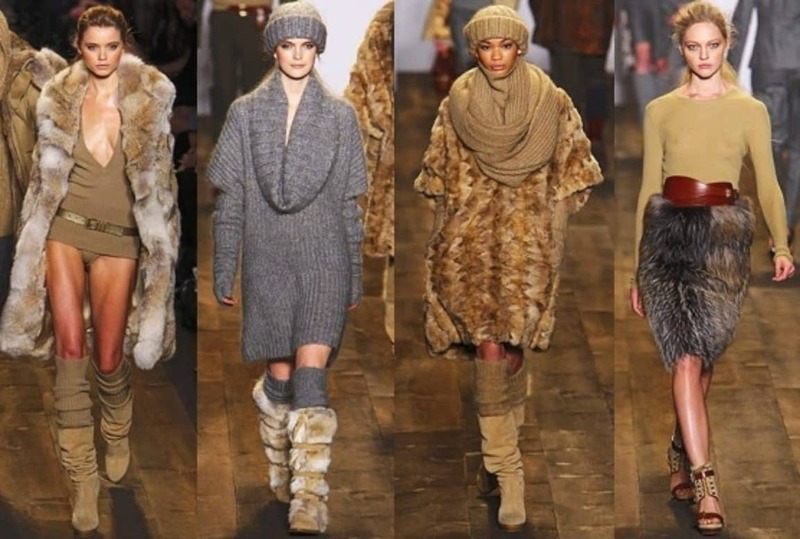 Shown below, a faux fur fashion show. 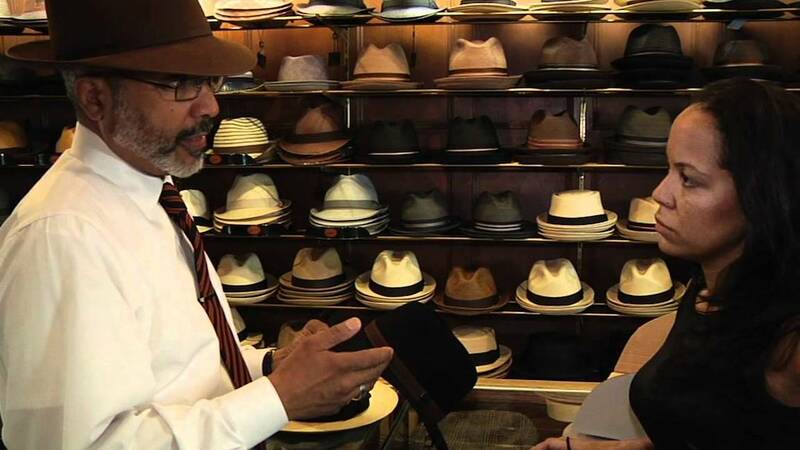 FEDORA: A stylish type of men's hat which is angled with a short brim. FELT: A soft, non woven fabric of pressed fibers. It is a fray-resistant material that can be cut in any direction, since there is no grain. 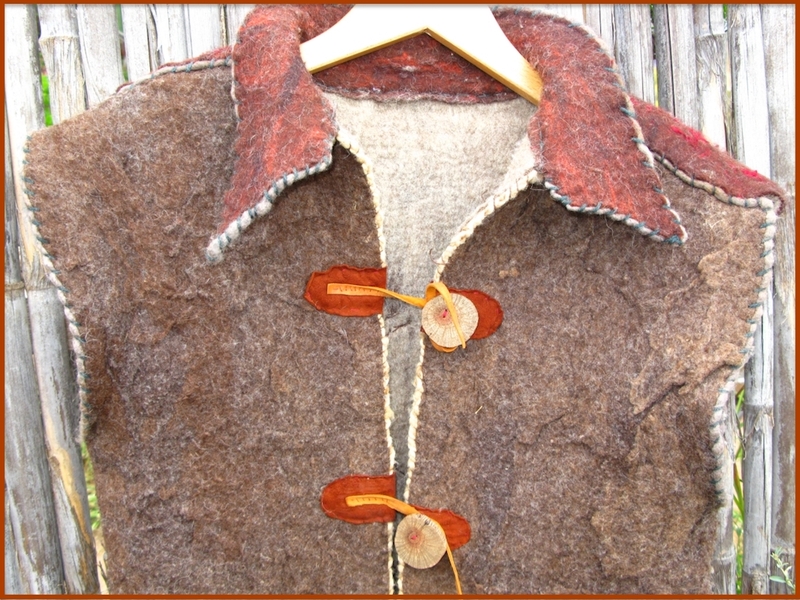 Felt is a popular material for costume design and wearable art. FEZ: A round, flat-top felt hat with a tassel, sometimes decorated with abstract stencil designs. 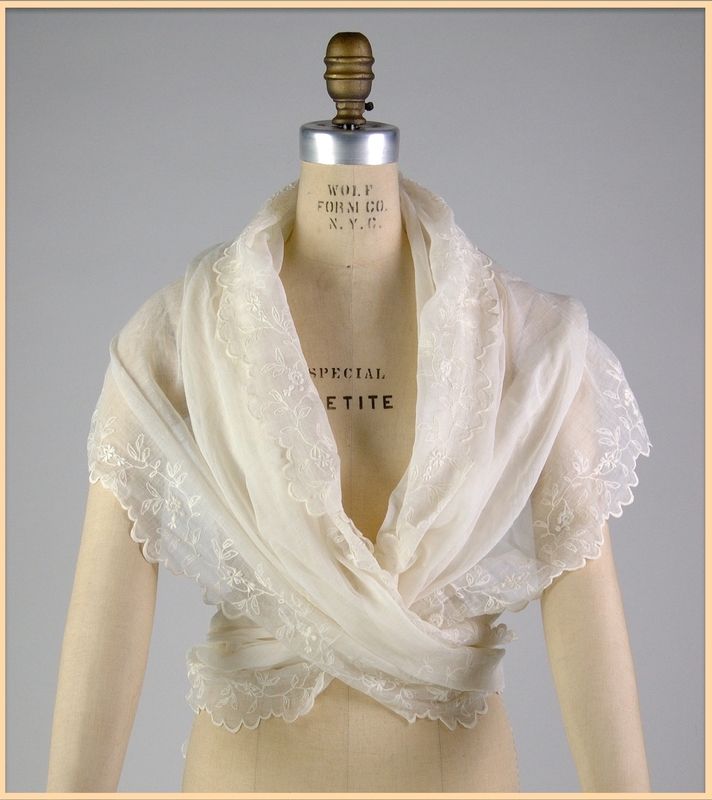 FICHU: A shawl-like collar worn around the neck. Also known as a neckerchief. Shown below, an 18th century lace fichu. FINDINGS: The bits and pieces of hardware and decorations used in fashion design and accessories, such as clasps, hooks, buckles, zippers, beads, and charms. 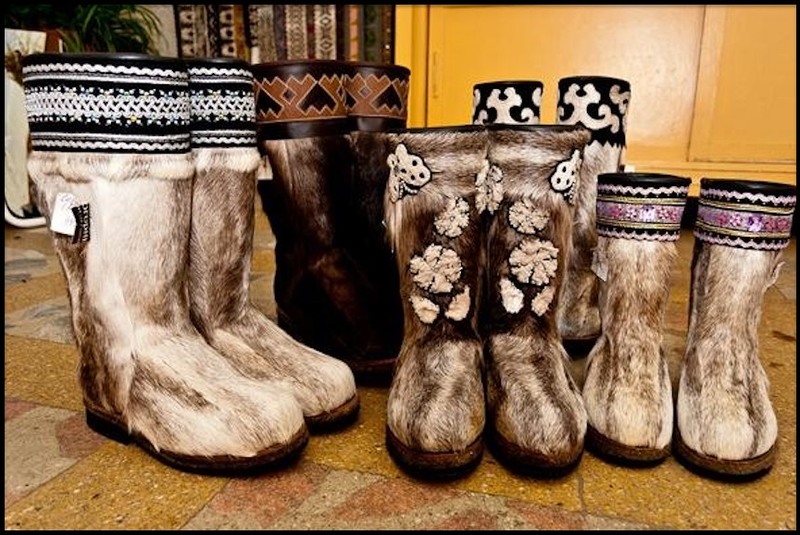 FINNESKO: A thermal boot made from the skin and fur of a reindeer. FISHNET: A wide mesh material often used for hosiery and trim work. 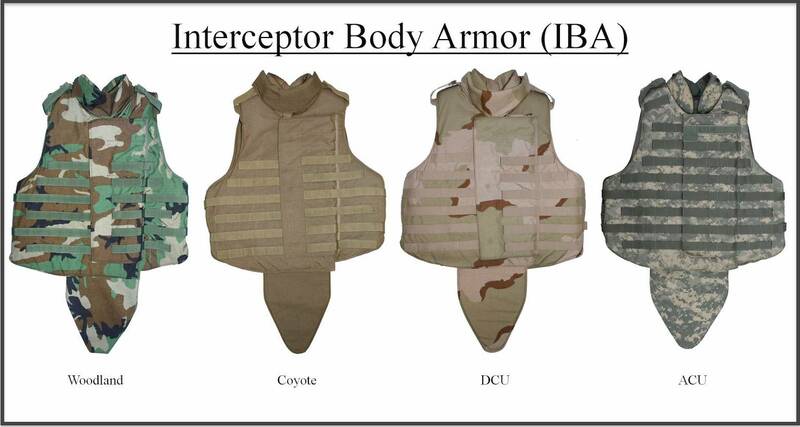 FLAK JACKET: A kind of body armor. FLANNEL: A soft cotton or wool fabric used mainly for blankets, winter sleepwear, and warm, comfy, casual shirts. FACTORY OUTLETS IN EVERY STATE, featuring all the styles you've seen on Fashion Models at deeply discounted prices!